Envision an educational environment that personalizes instruction in a community-centered approach to create leaders in academia, industry and medicine. We do. Our ABET, Inc. accredited biomedical engineering program is a pioneer in its field and remains one of the most well respected programs nationally. Our students become independent, productive and adaptive interdisciplinary experts. associate dean of the School of Engineering, one of my jobs is to help you find the best fit to study abroad. 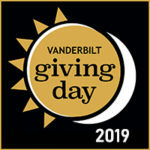 My colleagues in Vanderbilt's Global Education Office and I look forward to getting you started on one of the most meaningful and memorable aspects of your education. I spent 12 years in the biotech industry, leading teams of photoacoustic imaging scientists at Merck and MIT, delivering nano- and microparticles for gene therapy and blurring the lines between engineering, imaging and drug/biomarker discovery. A great deal of my work focused on establishing molecular imaging platforms for use in drug/gene/device/ biomarker development in the experimental medicine and translational research space. 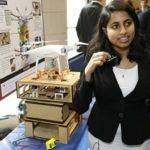 I came back to Tennessee my original home—and to Vanderbilt, because I saw a disconnect between the way biomedical engineers are trained and the industrial environment. Now, I am developing an innovative biomedical engineering design curriculum, working across departments, schools and with university and biotech medical device companies to prepare students for the ever-changing, fast-paced biotech industry. I grew up in Memphis, Tenn. With the influence and presence of St. Jude Children's Research Hospital, I knew from a young age that I wanted to be involved in cancer research, and that's what I set out to do. I received my Ph.D. in bioengineering, focusing on nanomedicine for cancer therapy. In 2008, I was invited to give a talk at my alma mater. Unlike other scientific talks I had given, this was about generating excitement for nanotechnology and engineering research. I loved it. I knew instantly I wanted to be a professor and to teach. My role at Vanderbilt allows me to stay in touch with the research while focusing on instructing aspiring doctors, researchers, clinicians, business leaders and scholars who will one day cure cancer.